Welcome to the new eAA newsletter! It has been a busy start to the year for the Association. In January, Assessment Tomorrow ran the 10th annual Scottish e-assessment conference, working with SQA and looking at the practical issues of selecting, implementing and using e-Assessment and related technologies and techniques. This year’s focus was on the role and use of learning technologies and related activities in Developing the Young Workforce. eAA Board Member, Tim Burnett gave a short presentation on the Association at the event. Two of our Board, Gavin Busuttil-Reynaud and Geoff Chapman gave an excellent presentation at the Annual Examiner’s Conference for Association of International Accountants, full of advice and tips for anyone looking to make a move towards e-assessment. We plan to publish fuller details of this presentation on our website very soon. If you are interested in anyone from the eAA presenting at your event, please do get in touch. You can meet our Board here. Voting has already started for the places available on the Board of the eAA. You should have received full details by email on how to vote and the results will be anounced at our AGM on 16th March. That leads me nicely on to the eAssessment Question 2016 Conference and Exhibition. If you’ve not yet booked, then do consider, as places are going fast. This year’s focus is all looking to the future: e-Assessment opportunities and barriers, risks and rewards. The eAA is planning a special interactive session on the first day to look at five key areas pertinent to e-Assessment from the future of marking right through to the Future Learner. RM Results: Looking to 2016 and Beyond: what’s the future for assessment and education? At the time of publication of our newsletter*, elections were underway for three positions on the Board of the Assocation. Members of the Board will have a real opportunity to influence and drive the way that the association develops over the coming year. Results will be announced at our Annual AGM, this year held on 16th March. Read more about this and the Speed Learning session we will be holding, later in this newsletter. *Please note: to receive our newsletter by email on the day it is published, please sign up as a member of the Association. We do aim to publish our newsletters on our website as soon as possible afterwards for everyone to access. Breaking News: We spotted on twitter last week that Axia Interactive, who also proudly sponsor this Association, successfully launched their largest eAssessment site with 600k ACCA trainees using their platform to record their Professional Experience. We chased them for more information and you can now read all about it on our website. As we ventured into 2016, RM Results asked some influential figures in education and assessment to share what they predict will be the greatest challenges and accomplishments in 2016 and beyond. From the demand for more authentic assessment to the use of learner analytics and the continued pressure to move to computer-based exams, they gathered a wide range of views covering every element of the digital education landscape. You may have already read the report, but incase you missed it we felt it was worth re-sharing here. More importantly, what do you think? 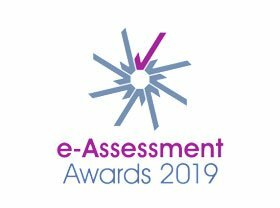 Let us know via email to newsletter@e-assessment.com or add a post with your views on our LinkedIn Group and let’s widen the debate. 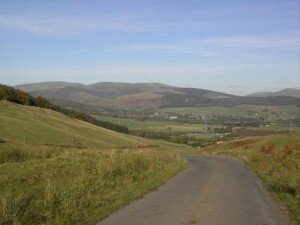 This well written piece by Alison Rogers first appeared on the CIEA website at the end of January, and with their permission, we have republished it below. Alison shares a very personal view on assessment after 2 years in the role as Chief Executive of the CIEA. 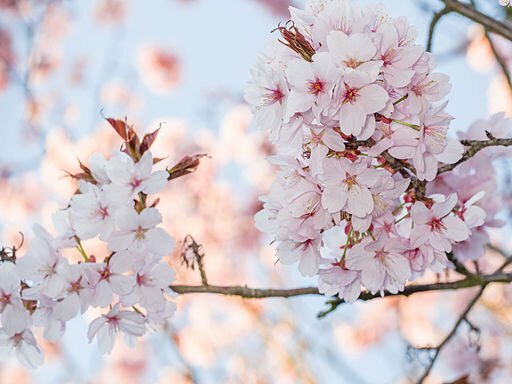 When I joined the CIEA I was inspired by memories of a favoured Aunt who was an examiner of English, and motivated by the thought that my own son would be going through the exam system in a few years’ time. For me it was all about the people working in the system and those impacted by it. At the same time I must confess to being a little shocked that the promotion of excellence in assessment was being handled by a very small charity with no government resources or public funding. At an early point I was invited to a CMRE dinner at which a collection of essays entitled Tests worth teaching to (Ed. 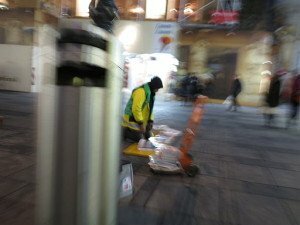 Gabriel Sahlgren) was discussed. It included a thought–provoking essay by Prof. Rob Coe at CEM, Durham University. In it he examined the purposes of national assessments, and wrote of the distortions in the system that were implicit in a system where the value of assessment was constrained by multiple drivers of impact and purpose. At the time we were still in the midst of reforms to education driven by Michael Gove (as we still are). I had recently worked in an Academy with a high proportion of FSM students and where the desire to push candidates over the D/C boundary was overwhelming, possibly at the cost of a lot of other valuable learning by those students and other students too. It became increasingly clear to me that assessment was a deeply political matter – not so much a hot potato but a slow burning corrosive mass that had the potential to cause real damage to young people over decades. In that description I would include our continuing preoccupation with academic rather than vocational achievement and the less- than-second-class status that these qualifications are accorded in the national psyche and reform efforts. Nothing that I have learned since then has changed that perception – on the contrary. At the CIEA we hear anecdotes of parents being given little guidance on their child’s learning and ability ‘because levels have been removed’ and the teacher has been told that they are not ‘allowed’ to talk about what level the child is at. We see narrowing of the curriculum (students learning ‘AQA Maths GCSE’ or ‘Edexcel English’); we see exam results being used as a stick to beat teachers with, impacting their pay even where the measures of their performance are only partially in their own control; we see students’ own motivation and joy in learning eroded by very regular assessment where the results are not even reflective of their performance. We see schools and the education system itself held up to odious comparison where apples and chalk are examined and found wanting. Prof. Tim Oates has talked about the absence of mastery that the ‘levels’ regime tended to engender, and I reflect ruefully that a history project about medieval surgery and doctoring that I must have worked on for 6 weeks and which was perhaps one of the most enjoyable pieces of learning of my educational career (I still remember it 35 years on!) would never now be countenanced in the relentless onward march of assessed ‘progress’ and sticking to the curriculum. At an equally early point I watched the delivery of training for examiners talking about validity, reliability and purpose. I could see that with even a relatively modest academic exposure, many examiners and teachers could be given the tools, knowledge and insight to improve their understanding and practice of what good assessment is. With 34,000 people in the UK acting as examiners and 450,000 teachers supporting youngsters in schools and assessing our young people day in, day out, there was clearly a vast job for the CIEA to do. Over the first year in 2014 the priority was to turn around the loss-making finances whilst also recruiting a cost-effective set of staff to start to deliver the original vision of the organisation. Once this was achieved, and with Sue Kirkham as our new Chair from July 2014, we reviewed the governance of the charity and invited new trustees to join us, ensuring that people on the Board were organised to act as effectively as possible. Whilst continuing our work with the examining community, we reflected that assessment practice in schools could be assisted by making more of our knowledge open to schools. We launched a schools membership scheme to encourage small groups of interested teachers to join together to talk about assessment and become their own small community of expertise within the school. With very limited resources this was our less than adequate response to the Carter report and other external concerns which indicated how little ITT or CPD on assessment teachers are getting. We forged on with developing a training programme for schools which would give them the basics of good assessment. We had also been working on an accreditation process for schools – designed to indicate whether a school has a good holistic approach to assessment. We launched this in June last year. Meanwhile the Assessment Commission was announced and for a while we were extremely hopeful that this group of people would be able to embed some change into the system. The interim report was sensible and appropriate but short on legacy impact. Since then the Assessment Commission has disappeared from the horizon and the assessment community is once again navigating a dirty creek with inadequate tools. So! Good assessment is under threat. Educational assessment is politically driven. Teachers’ training and development is increasingly constrained by time and budgets. Exam boards’ profitability is under pressure and some boards find it difficult to recruit and retain examiners. At the same time the structural help to the system is limited in its impact. The Department for Education feels that it has ‘done’ assessment. What drives change? Is it money? Political will? Headlines? People power? Will parents rise up at the impact that assessment is having on their children? Unlikely. Will the Secretary of State suddenly announce a raft of support to teachers to improve assessment knowledge and practice? Equally unlikely. Will the annual round of late August headlines about the failings of the exam system cause people to rise up and demand change? Not on past history. No single driver will provide our silver bullet. So perhaps it’s like environmental concern and green issues. Maybe we each, one by one, have to do our bit. Maybe we have to recognise that striving for good educational assessment is simply something we all have to do. Sight problems affect over 2million people throughout the UK. Many professionals and organisations need information on the issues affecting blind and partially sighted people, and help to improve their services for people with sight problems. The Royal National Institute of Blind People (RNIB) is a charitable organisation which supports thousands of people affected by sight loss. They offer training and consultation to businesses and professionals working in social care, health, education and employment, to help them support people who are blind or partially sighted. RNIB needed to make their training more flexible and meet the high demand for employee development from their business clients. They wanted to diversify their business training offering by incorporating new learning technology while still following accessibility best practice. The project began in early 2014, with eCom and RNIB working in partnership to define an effective learning strategy. The agreed approach was to build a bespoke learning management system (LMS) and create a series of accessible eLearning courses. The new LMS needed to support both RNIB’s and their clients’ varying training objectives. Public Academy – focusing on personal development and used by anyone supporting a person with sight loss. Professional Academy – predominately for employers in the third sector, health care, local authorities, education and employment sectors. Customer Academy – for businesses across financial services, retail, housing and utility providers to help tailor customer service requirements to support people with sight loss. Internal Academy – for RNIB Group, Action for Blind People and Cardiff Institute for the Blind’s staff and volunteers. Social and technological exclusion significantly affects blind and partially sighted people. Therefore it is critical for RNIB that their learning environment is accessible to all, with adaptable resources which work across as many devices as possible. The project required detailed understanding of web accessibility and incorporates the latest in accessibility technology. Significant research was carried out by eCom on how to structure content to make it accessible using screen reader software and available on most devices. A wide range of subject matter experts and accessibility advisors assisted with the project. Through regular testing they ensured that Web Content Accessibility Guidelines (WCAG) standards and regulations were met and best practice applied. The project has delivered a flexible and cost effective commercial offering for RNIB’s business solutions team. It has helped them to deliver information and training to a wider range of clients while still ensuring the highest level of accessibility for people with sight loss. The bespoke LMS accommodates RNIB’s broad range of clients. It supports ongoing employee professional development by delivering easy access to training and full tracking of progress. Working on the new system and online courses has expanded eCom’s knowledge and understanding of web accessibility. This learning will be used to enhance our future projects. This has truly been a mutually beneficial partnership between eCom and RNIB. Our combined expertise has enabled the creation of accessible eLearning which ensures equity of learning experience for blind and partially sighted people. 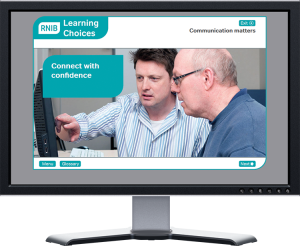 From the first phase of this successful collaboration we have a new accessible eLearning platform and a suite of eLearning course available to the public on RNIB’s website. The first internal RNIB group eLearning course ‘Customer service excellence’ being available to over 3000+ staff and volunteers across the RNIB group. Our partnership goes from strength to strength as we move into the next phase of creating more customised eLearning courses for the business sector. 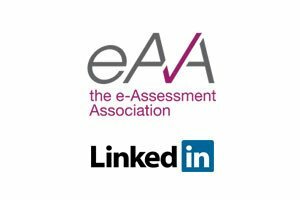 If you’re not already a member of the eAssessment Association LinkedIn Group, you can find us here. Will assessment dumb down UK lawyers? How many Digital Badges have you got? Remote exam invigilation – cheating through a hearing aid? Back in December 2015, we published a press release on our website from BTL about their new software, SurpassPaper+. Admiring the claims that this software “promotes the evolution of paper exam delivery” we thought we’d ask their Marketing Manager Tim Burnett to answer a few more questions. In a nutshell, SurpassPaper+ is a secure word processing application for multiple devices, designed specifically for use with high stakes examinations. Q. So why not just use a normal word processor? Schools are doing that at the moment, thousands of candidates each year in fact, but it is difficult to ensure security and the responses still have to be printed and posted. Also, because standard word processor applications have not been designed for exams it only provide partial benefits. SurpassPaper+ has been designed to bring consistency to the process whilst giving everyone confidence in the growing trend of candidates using computers as their normal way of working for learning and assessment. Q. How is this different to regular on-screen testing? 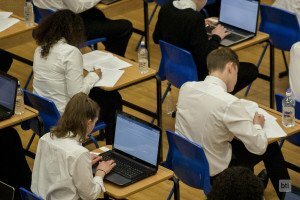 It isn’t practical right now for a complete shift to Computer Based Testing in areas like General Qualifications, where a centre might have to deliver exams to a full school year simultaneously. With SurpassPaper+, the question papers themselves are still created and distributed in the same way they always have been, while allowing centres and candidates flexibility around submission methods. Q. Who would benefit from using SurpassPaper+? Interestingly there are benefits for everyone involved in the testing process. Awarding organisations can still author and deliver their question papers as they do now, and with the advantages of instant digital submission they can reap the speed and cost benefits of electronic marking. Candidates benefit from the choice between paper and computer without centres having to invest heavily in infrastructure. Candidates can even bring their own devices if centres allow it. Also, invigilators can monitor candidates using the accompanying application, if they wish to. Q. Doesn’t this give computer users an unfair advantage? Learners are all different, some need to use computers for accessibility reasons, for others it’s now a perfectly normal way of working. I think we need to look beyond the idea of advantages and disadvantages and more at the needs and modern skills of the learner. In the modern workplace, nobody handwrites reports. Are exams a handwriting test or tests of knowledge and understanding? Q. Why did BTL create SurpassPaper+ (and why has nobody done this before)? We place a lot of value in the numerous discussions we have with partners and customers, and in turn this has a strong influence on our development procedures. Many people envisage a future that involves more and more on-screen testing, but the reality is that it takes time for all required aspects to line up. Centres need the infrastructure, staff may need training, and regulators need to ensure comparability. The simple fact is, many candidates already can, and do, complete their examinations on-screen, but the process is long and cumbersome. By taking a step back and thinking of this as a secure notebook, rather than a full examination, other answers started falling into place. The priority was ensuring security, and that there was no single point of failure. This week sees the 14th annual International eAssessment Question Conference and Exhibition. Run by Assessment Tomorrow, it is also the venue for our Annual General Meeting, followed by an hour session hosted by the eAA. Results of the election will be announced at the AGM and afterwards we are this year hosting something slightly different. This will be a fast-paced, innovative one hour ‘Speed Learning’ session. For those of you unable to attend the Conference, we will create a report of all of the discussions and presentations for our website. You can also follow us on twitter @eAssess and watch the hashtag #eAssess16. So, what is Speed Learning, we hear you ask? Opening with a five-minute keynote from our Chairman, Matt Wingfield, we will then divide the event delegates into five groups. Each group of delegates will start at a different point and move around the tables in turn, spending 10 minutes at each table and therefore visiting all five tables over 50 minutes. Table hosts start the session with 2-3 minutes each to present their views (on the theme of their table) before handing over to the delegate group for an opportunity for some Q&A and feedback – giving delegates the opportunity to talk through challenges, successes and aspirations, or exploring ideas for the longer term. After ten minutes, every group will rotate to the next table. The e-Assessment Association will provide the brief closing statement to round off the hour. Who will be hosting the session? 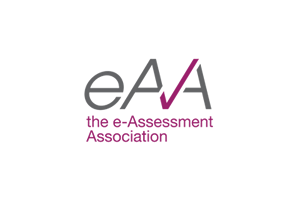 Please follow #eAssess16 on twitter for more information and live updates from the day. Technology can be a fantastic resource in the classroom. A number of case studies have revealed that technology such as tablets can have a positive impact on learning, helping to motivate students and improve problem-solving skills. However, teachers have reported that the growing number of children bringing personal devices into class has had the adverse effect – that the devices are a distraction to students and hinder teaching. As the modern classroom increasingly incorporates the use of technology, it is becoming ever more important to regulate the use of devices so that students receive the best educational experience possible. In some cases, studies have proven that introducing the use of iPads and tablets into the classroom can result in a significant improvement in exam grades. One example is the iMedEd Program at The University of California, which saw 104 students in the university’s medical class of 2014 given iPads to use for their studies. As a result, that year’s average exam scores were 23% higher than all previous years. Conversely, Louis-Philippe Beland and Richard Murphy conducted a study on the effects of BYOD in the classroom which was published by the Centre for Economic Performance at the London School of Economics. The study, ‘Ill Communication: Technology, Distraction & Student Performance’, found that after schools banned mobile phones, the test scores of students aged 16 improved by 6.4%. Despite the positive effect that appropriately used technology can have on exam grades, the impact of smartphones in lessons is something that is often debated by the Department for Education. So, the BYOD debate is something of a double edged sword – while tablets and smartphones can be great learning resources, they can also prove a distraction in the classroom. It seems there are two divisive schools of thought on this topic: ban or heavily regulate their use – or embrace the technology and live with any attendant distractions. In our next newsletter we hope to be able to publish a Case Study from AlphaPlus Consultancy and Department for Business Innovation and Skills – we’re just waiting for approval from the necessary quarters. We will also bring news of the eAA AGM and Speed Learning Event and are looking forward to an article penned by Craig Strangwick. We also will bring you a report from the Vision and Values Sub-Committee that was set up following our Membership Survey last year.